Who doesn’t love classic cars and trucks? In the fifties, the sixties and even into the seventies, all of the different makes of cars were instantly identifiable. A Ford was a Ford, a Chevy was a Chevy and so on. Now the only way you can tell what the make of a cars is by looking closely at its badge. Furthermore, to make matters worse a Chevy might not even be a Chevy, it might be a Korean car with the emblems changed and marketed in the U.S. I would hate to be a teenager today. There are just no cool cars today to get excited about. This is not the case with American classic cars from the early ’70’s and older. When you go down the road in a classic Mustang, ’57 Chevy or Thunderbird there is no mistaking the fact that you are driving a true classic car. Get behind the wheel of a cool classic and you have entered a different time and place. There is no feeling like it. It’s just that simple. These cars were produced in a different time and era. The plans, tool and dies for these cars are gone forever. And, as time goes on these cars become more scarce and the prices go up possibly making the pastime of enjoying these cars a good investment as well. Also, maybe you have inherited a classic car and don’t have a clue where to begin. That’s where we come. We can help you identify the vehicle, make you an offer and tow or drive it away. Even if you can’t find the title, we can apply for a duplicate title. Our mission at Dennis Buys Classic Cars is to preserve, promote, cherish and share classic cars, trucks and motorcycles. But it begins with you. 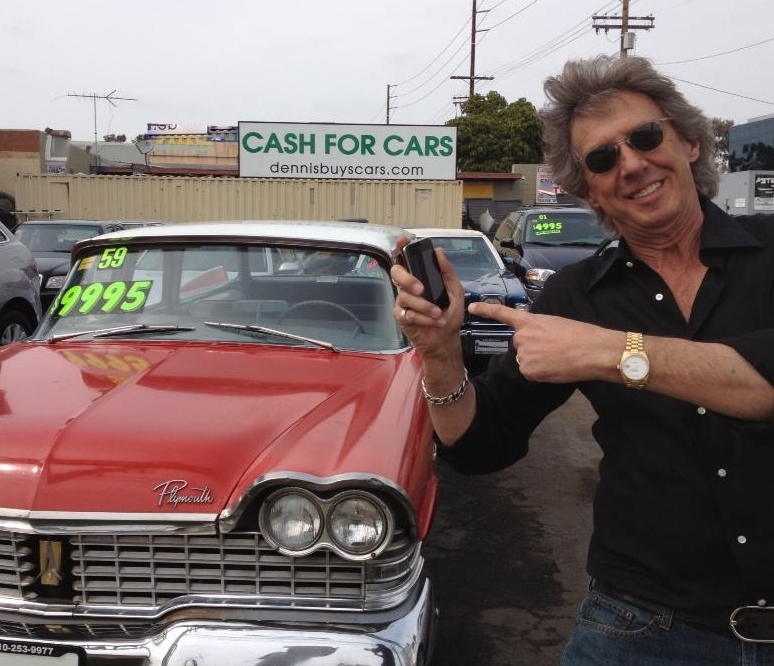 If you have a classic car, truck or motorcycle that you need to sell, call us now 310-253-9977. We are the experts. Specifically, we are known as “The King of Affordable Classics”. We understand that some of the super rare and expensive Ferraris, Jaguars and Porsches are just out of reach for the average person. We offer cool cars and trucks that you can cruise around with everyday for mostly under $20K. Dennis Buys Cars, the parent company, will buy pretty much anything on wheels. So if you have a late model, luxury car, truck, SUV or motorcycle, we will buy it! We are a licensed and bonded CA dealer and have been at the same location since 2003 with great Yelp reviews. Join the ranks of thousands of people before you and give us a try. Furthermore, don’t take the risks of dealing with the unpredictable public. Sell your car safely to a dealer and save yourself a lot of time and aggravation. We will beat CARMAX or any other written quote 99% of the time and we will pay you in cold hard cash if you like. Plus, we will get you home in a complimentary Uber or Lyft car. For more information check out our videos. In addition, we know the special concerns if you are a woman selling a car. There is no need to have strangers coming to your door when you sell your car to us. We offer a safe haven for you to come to and sell your car. We will make the process easy and hassle free. Dennis Goddard: So James, tell us about this truck that you are selling today. James: Well, this is a 1954 Chevy. It was in really bad shape when I got it. I had it for over 13 years and my grandson and I, we kind of work together with it. He was about 4 months old when we started on this. Over the years I let him drive with me, its was some company. He was so excited about it. I’ve been taking it to shows and everybody loves it. They all want to take pictures. It was a very unique project for me, I enjoyed doing it and I just thank God that I had the opportunity to put something like this together. Now, sadly I have to let it go, but all things have to go. I got a new project and I’m going to be working on that. 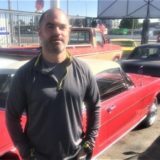 I had pleasure with this one but I needed to find Buyers for Classic Cars and Trucks. Lastly, avoid the risks selling your classic car privately and let us do the work. Placing an ad and dealing with the unpredictable public can be a pain in the you know what. There is no need to have strangers coming to your door. We will make it quick and easy and get the job done usually within fifteen minutes. Dennis: Is it this one? The Cutlass? 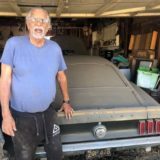 James: Yes, 66 Oldsmobile Cutlass, that is the next project. 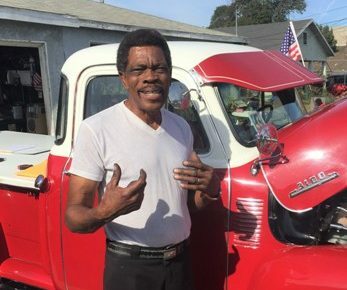 Dennis: Call me when this one is ready and we will buy this classic car!. James: Will do that!! I’m hoping from time to time we stay in contact and maybe I get a chance to come down and visit. Dennis: That would be good. Why did you decide to sell it finally? James: Well, the economy is kind of bad and I got caught up with that housing thing. I’m also a little short on funds so now things are a little tight. 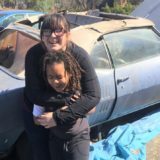 I explained to my son and he understood that I had to sell it, so I’m going to sell it now to Buyers for Classic Cars and Trucks. Dennis: But we gave him the dice right? James: Oh yes, we gave him the dice, he is satisfied. Thank you for that, he wanted something from the car to remind him of it. Also he has a lot of pictures in his room all over. I’m pleased and he is pleased. Dennis: Now, I understand that it was a little pay off, a slight amount that was still owed. We were able to to help you. James: Yes, thank you for that. Not only that, but pulls me out of a debt, that I definitely need it to get out of it. It was almost at a point, to be truthful about it, if I didn’t hurry up and sell it I would’ve probably lost it. Thank you for coming out, seeing what I’ve done and decide to take it in. Go to the next step, hopefully. Dennis: Our pleasure James. How did you find Dennis at Dennis Buys Classic Cars? James: Well I went on the web for Buyers for Classic Cars and Trucks and I saw your name Dennis Buys Cars. I contacted someone else, but I didn’t fell that warmth coming back. James: Yes, with you I sent you a few pictures and right off them you were ready to come and look at it. You made me a good offer and I’m pleased with it. Dennis: Yes, here we are Sunday morning, here I am. James: We’re waiting on a tow truck to pick up your truck. Dennis: Our truck! Now, when you did the online search for Buyers for Classic Cars and Trucks, do you remember what it was that you typed in? What words did you type in? James: You know what I did, I called. I called the number. Dennis: No I know, but originally when you did the search online, when you were looking for the number. Do you remember what it was that you typed in when you did the search? Did you type in Buyers for Classic Cars and Trucks? James: Buyers for Classic Cars and Trucks, that’s what I put it. 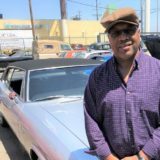 Dennis: Buyers for Classic Cars and Trucks! James: In Los Angeles area. Dennis: That’s what we are looking for. Hey James, thank you so much, we really appreciate it. We’ll give you a progress report and also let us know when the project behind me is ready. James: I will, and thank you for giving me this opportunity to do the video. James: Thank you for buying the truck. Congratulations to you and you can say congratulations to me. James: It’s all good, like I said I really want to come out to your location and look around. I will keep you posted how I’m doing with this new project. Dennis: Please do, thank you so much.